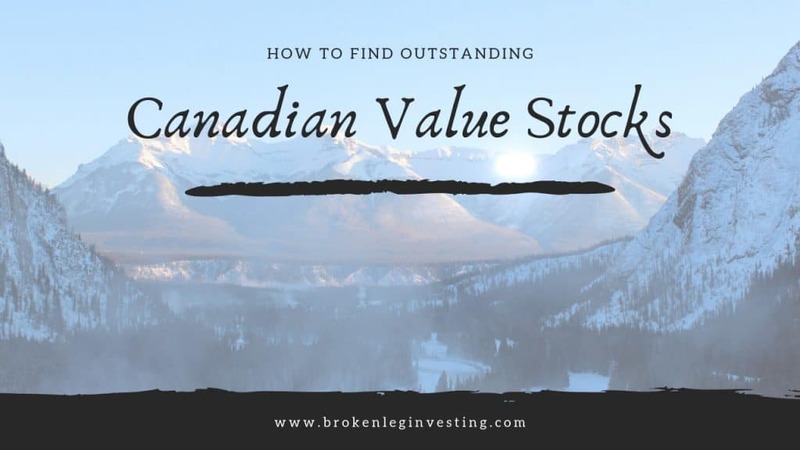 This article on how to find outstanding Canadian value stocks was written by Colin Richardson. Colin is a private investor based in Alberta, Canada. He focuses on applying a quantitative strategy to eliminate behavioral biases in his personal account. Article image (Creative Commons) by Gero73, edited by Broken Leg Investing. Have you ever explored the Great White North in search of outstanding Canadian value stocks? Did you know there are currently over 30 Canadian companies trading at a negative enterprise value? Now that's True North, strong and free! There are deep value opportunities to be had within the country — assuming you know where and what to look for. Before packing your portfolio with Canadian value stocks, you should know the basics of the country’s markets. There are two major stock exchanges that offer Canadian equities. The largest in Canada (and the ninth largest in the world) is the Toronto Stock Exchange (TSX). Companies listed under the TSX are considered to be well-established and experienced. The younger sibling to the TSX is the TSX Venture Exchange (TSX-V). This exchange provides emerging companies in their early stages with a platform to access capital, enhance liquidity, and increase recognition. The intention is that companies on the TSX-V will eventually graduate to the TSX over their lifespan. As with any stock exchange, the TSX and TSX-V are divided into multiple sectors. Combined, their four largest sectors are financials (29%), industrials (12%), mining (9%), and oil & gas (9%). As you can see, Canadian markets are heavily weighted by financial services and natural resources. At first, this distortion may appear to be a concern. Don’t worry though — this can actually be an advantage that could work out in your favour. More on that later. A unique element to Canadian stock markets is that there is no federal regulatory body similar to the Securities and Exchange Commission (SEC) in America. No, Canadian firms aren’t out manipulating financial statements at the expense of investors. There is still regulation; however, it is the responsibility of the province that the company operates within to enforce fair and proper practices. The 13 security regulators then join together under the Canadian Securities Administrators (CSA) to ensure rules are coordinated and parallel to each other. There is no reason for investors to believe that they are not receiving full, true, and plain disclosure at all times. Lastly, you should know where to source financial information and data on Canadian companies. The most reliable place is simply on their own website. Find the investors relations section as it will likely contain the most up to date filings. If that doesn't work, try www.sedar.com. The SEDAR claims to provide access to documents for any company regulated by the CSA. If all else fails, websites such as Morningstar, Marketscreener, or Yahoo Finance should has some data. Now that you know where to find Canadian value stocks, let’s talk about what to look for. John Templeton, Tweedy Browne, and David Dreman have all testified to the potential opportunities within the Canadian markets. By merging their philosophies and experiences within the country, we can model the most ideal Canadian company. Of course, the first criteria is that it is considered deep value. This could mean its trading at a low price to net current asset value, a low acquirer’s multiple, or a small price/book ratio. A deep value status combined with the characteristics listed below is a proven formula for success. Small Market Cap: Individual investors with relatively small portfolios need to take advantage of their size. The best way to do this is to buy companies with tiny market caps — $50 million USD or below. On the TSX, approximately 20% of companies are below that threshold. Small market caps and deep value go hand in hand. Where you can find one, you can find the other. Expanding to Canadian markets creates plenty of opportunities for small investors. Existing Operations: As mentioned earlier, a large portion of Canadian firms fall into the natural resource sector. This includes mining, oil & gas, and life sciences. Deep value investors need to be careful, as natural resources firms can also fall under the resource exploration category. These are operations whose success relies on the discovery of a resource. They have a bad reputation of faint promises and constant fundraising of capital. Say a mining company announces that it found a mountain supposedly filled with precious minerals somewhere inside. Sound enticing? It raises capital on the TSX-V, only to find out there is actually nothing valuable to be found. You are now stuck with a deadbeat stock that may never reach its full intrinsic value. Low Debt Levels: This is one of the more important criteria on this list. A balance sheet with high debt levels compared to equity is too dangerous for us to speculate on. Debt/equity ratios above 25% are a reason to question management's ability, operations, and the firm’s future. If you’re using Ben Graham’s net current asset value (NCAV), also make sure there is a significant spread between total liabilities and current assets. If not, NCAV could get wiped out before you even have a chance to profit. Strong Sectors: The other heavily weighted sector in Canadian markets is financial services. However, deep value investors normally choose to steer away from this sector. It is very difficult to understand how a bank, insurance firm, or credit provider makes a profit. What we do know is that it normally includes some form of issuing debt. As with natural resource firms, it is probably best if we just avoid financials. With that said, the heavily weighted sectors actually provide a great opportunity for us. We love to buy forgotten-about or ignored companies. While everyone else focuses on financials and natural resources, we can sneak into the next great industrial or retail company. A total contrarian move! A Catalyst: Previous studies have indicated a positive catalyst can completely change the trajectory of a stock for the better. This is what happened to the TSX-listed company Canadian Pacific Railway when activist investor Bill Ackman acquired a major stake. He was able to force changes that eventually tripled the price of the company’s stock. Catalysts like that happen all the time in Canadian markets; it is up to investors to profit. There is no better example of a Canadian value stock than Sangoma Technologies Corp. What transpired over the previous five years is something we wish all our investments would model. What once was a $5.77 million CAD company grew over 700% in five years and is now worth $49.68 million. Had you just known what to look for, the opportunity could have been identified from the beginning. The story starts in 2010 when the TSX-V listed firm began to face some challenges. With operations in an outdated telecom industry, its customers were switching to more modern solutions. As they did over the course of three years, the company’s profit margin dropped from 20.48% to -33.47% and return on equity dropped from 12.80% to -24.46%. Sangoma’s stock followed a similar trajectory, dropping from around $0.80 CAD in 2010 to $0.27 CAD three years later. In October 2013, the majority of investors was fearful of the diminishing operations, but deep value investors began to notice it was trading for a cheap price compared to its value. Based on 2013 year-end financial statements, NCAV could be calculated at $0.32 per diluted share. At a price of $0.20, the stock was discounted by 37.5%. A further analysis would reveal it also fit all of our criteria mentioned earlier. First, its market cap at the time was only $5.77 million CAD. Large institutional investors and mutual funds were not considering the firm. This creates an excellent opportunity for small investors to acquire a stake. Next, Sangoma Tech had proven it had existing operations. Don’t forget, before its industry and competitors began to change, it was a very profitable company. Although it was going through a difficult time, management provided evidence that it was attempting to turn things around. The company spent around 20% of sales expanding operations. In doing so, 19 new products were released and offered to customers. This strategy tends to work because eventually one or two of the new products will stick. It then becomes the company’s new niche that it can build off. While these changes were happening, its long-term debt levels and debt/equity remained at zero. Clearly, management felt confident that it could rebuild the company organically — more than enough reason to trust in its abilities and competence. Sangoma Tech falls under the TSX Venture Exchange’s technology sector and outside natural resources and financials, providing another reason why the Canadian value stock was able to go unnoticed. Our last criterion is the potential for a catalyst at some point in the future. With the focus and money that was going towards bettering operations, there was reason to believe it would eventually pay off. In fact, this was exactly what happened. From 2014 to 2017, sales increased by a significant 112%. However, as this happened, Sangoma’s stock channeled between a high of $0.42 CAD and a low of $0.28 CAD. The catalyst that would eventually cause a spike in the stock price didn't come until the second quarter of 2017, when management announced the highest revenue level in company history. Suddenly, investors began to appreciate Sangoma as its stock went from around $0.42 CAD per share to $0.59 by the end of February. It didn't stop there — it now trades at around $1.30. Investors that bought in 2013 for $0.20 have now profited over 460% in five years. Sangoma Technologies Corp is a great example of the profit potential to be had in Canadian markets. The country provides a perfect alternative to the large and inflated American exchanges. In fact, some value investing gurus would prefer to purchase a Canadian value stock over an American one. Explore the Great White North — you never know what you might find! 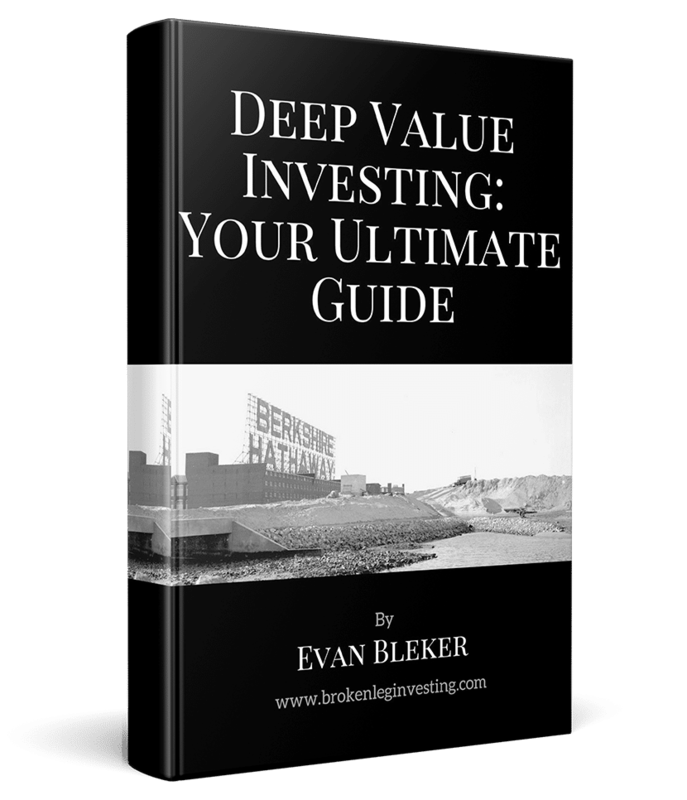 This entry was posted in Value Investing Essentials and tagged deep value investing, deep value stocks, value investing. Bookmark the permalink.